Marketing 101- How to Better market YOU! 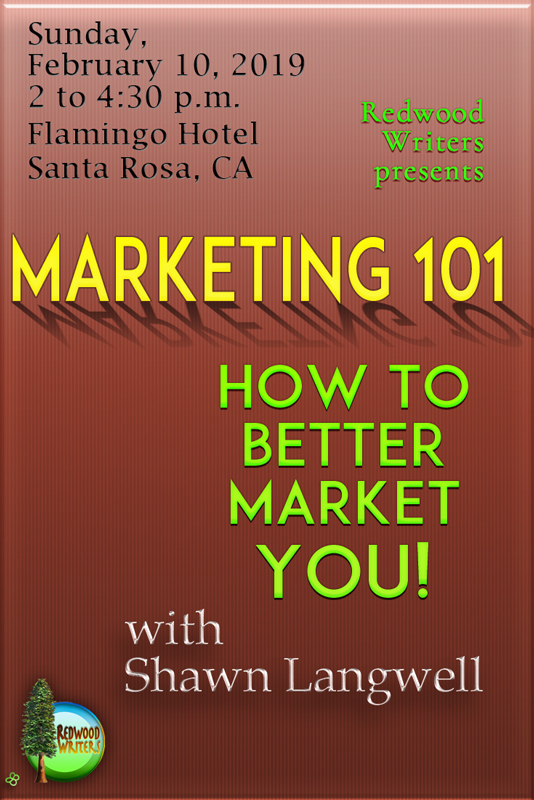 Marketing 101: How to Better Market You! 1. Passion- Know your why. 2. Know your strengths, weaknesses and opportunities with respect to writing, marketing and publishing. b) What are you good at? c) Where do you need professional help? a) who do you want to reach? b) what do you want to say to them? c) what do you want them to, think, feel, do? 4. Practice – 3 practical tips for building your brand. Shawn Langwell has 27 years of sales, marketing and advertising experience in the publishing industry. He has consulted with hundreds of clients to better assist them with their marketing and advertising needs and is a member of Toastmasters Of Petaluma. He has a Bachelor of Science Degree from San Francisco State University and has earned Leadership Certificates from Dominican University and the San Rafael Chamber of Commerce. In November 2016, Shawn published his first book, Beyond Recovery, A Journey of Grace, Love, and Forgiveness. When he’s not working or writing, he can be found hiking the west Marin coast. He lives in Petaluma with his wife, Crissi, and three adult children.